I remember my dear friend, Kathleen Daniels’s proclamation when she hit her 2-million point mark that she ‘missed her own party!’ Well, while working this morning, I noticed comments from several people congratulating me on achieving 3,000,000 points here in the Rain - I truly had no idea! Well, I missed my own party this time too! The last million points came a lot faster than either of the first two. Why? I think it’s because I am committed to playing the Rain a little each day. I write posts all week and then try to be sure that I’ve posted one each day or sometimes two or more if I missed the previous day. Bill Spear (Liz and Bill Spear) taught me that - he hasn’t missed a day in the Rain for YEARS! WOW! What a RIDE! Like many other members and as I’ve written several times before, I was an ActiveRain stalker for many months before joining! I didn’t have the courage to even write a comment. You have to remember that back in 2007, there was no Facebook or Twitter and for those of us who were so accustomed to thinking that blogging was akin to online dating, it was scary! With great trepidation, I joined and made a comment or two, watching closely as those wonderful, helpful members like Lenn Harley, Margaret Woda, Margaret Rome, Jeff Dowler, Loreena Yeo, Elizabeth Weintraub, William Johnson, Ken Cook, Jason Crouch, Judi Barrett, Teresa Boardman, Rich Jacobson, Gary Woltal, Broker Bryant and TLW, and the entire lot of them--made blogging look so incredibly easy! I realized that this was such a fun, happy-go-lucky group - perhaps they wouldn’t judge me? Maybe I’d finally be brave enough to write a blog post. When I did, I could think of nothing else to write but, A LOCAL post! Of course, I didn’t have a CLUE how to add a photo or graphic and it wasn’t until the following month that I learned how to add a photo to a VERY short post, which I thought may be my first AND last blog post EVER! From there, I began to have ‘fun’ on ActiveRain but, I had a real estate coach in CA who was insistent that I use AR for business and to stop having so much ‘fun’ here! So, I buckled down and began to realize that hey, I could do BOTH! I focused on real estate on my blog and had fun on everyone else’s blog! I later took a 3-year sabbatical and returned confident that I could also have fun on my own blog and have enjoyed sharing posts with a wide variety of topics and a varied level of 'seriousness' as well. Blogging life then became very scary for me--everyone was trying out the new shiny toys like Nvu and RealBird, SnagIt and other things that I had absolutely NO clue what they were! I jumped in with both feet and decided that if I never slept again, I was going to become ‘good’ at using these tools. I conquered them but, it seemed that there was always something new - and I had to keep up. Brad Andersohn kept us on our toes with how to use keywords (OH the SEO!) and new venues that we simply MUST learn to dominate. He even gave us step-by-step instructions that even this oldie could follow! Because we learned so many sites and how to dominat them all, half of those sites went YEARS without any attention because I signed up, mastered them and then abandoned them! It wasn’t until a couple of years ago that I again discovered some of those sites like Delicious and Tumblr simply by doing searches looking for my name and my former company’s name to be able to make the changes. Admitedly, I didn’t even remember any of the passwords to these sites! Brad & Rich Jacobson then led us to take on the sites that were really ‘big’ - Facebook, Twitter and LinkedIn, learning how to set up profiles, fan/business pages and later, customized FB pages. Again, never in a MILLION years did I ever think that I would be having to learn how to use html code (for custom FB pages) to sell real estate! Who knew? Thanks to ActiveRain, I also began focusing on expanding my drive to complete new certifications to also include attending technology courses and conferences. The first tech conference that I attended was in 2009 and it was simply amazing! Imagine having the opportunity to meet fabulous friends from ActiveRain like Missy Caulk, Teresa Boardman, Thom Abbott, Jeff Turner, Jeff Corbett, Elizabeth Cooper Golden, Connie Harvey, Ann Allen, Mara Hawks, Ken Cook, Lane Bailey, Patty Keller and many others (sorry if I didn’t add your name, please don’t take it personally!). 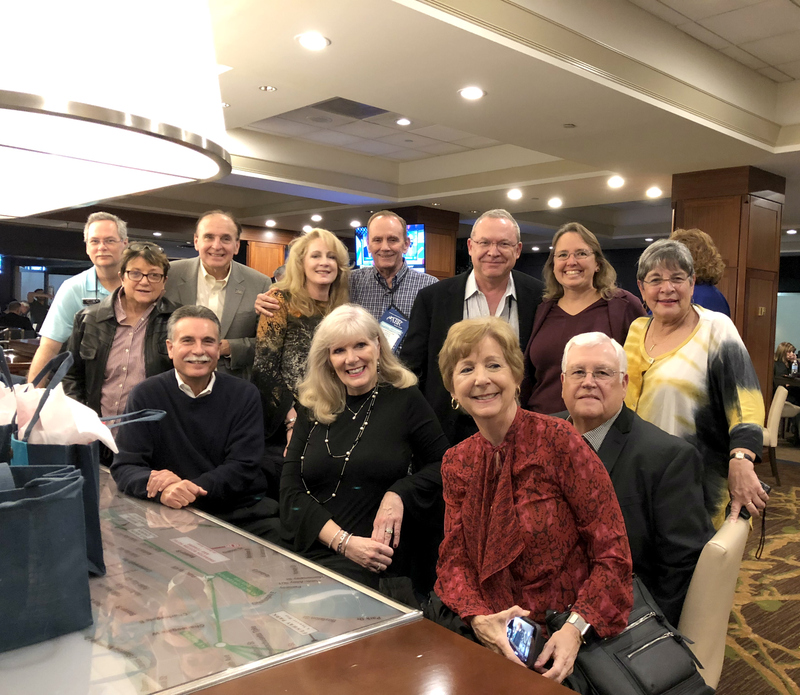 Many of the ActiveRain members there have since attended other conferences with me across the nation, where we met some of the most wonderful real estate professionals on the planet. Our bond--we were all ActiveRain members! What has been so rewarding is knowing that I can call many ActiveRain members (including others that I haven’t mentioned here) anytime of the day or night and they know that they can do the same with me! We all began our online trials & tribulations here and we have learned and grown together over the years. ActiveRain completely changed my business--from the numerous referrals sent to other ActiveRain agents, receiving lots of wonderful referrals from AR members, finding one of my all-time favorite lenders here, to recently introducing my favorite inspector to ActiveRain. I was also contacted by a local real estate attorney who was interested in a listing that I had posted on AR - he later became one of my favorite Closing attorneys here in the area (Jaime Kosofsky). Being a member of ActiveRain hasn’t just meant business coming from here...it’s meant SO much more. I met one of my favorite local agents in Atlanta at RETSO in 2010 (Lori Bee) and along with a couple of other local agents, we put our heads together and planned Charlotte’s first REBar Camp. There was a LOT of local learning and laughter--all as a result of our participation in ActiveRain! I’ve flown to Dallas, Orlando, New Orleans, Seattle, Atlanta & Boston to attend RainCamps, REBar Camps, CRS Sellabrations and NAR conferences, always meeting wonderful ActiveRain members and always leaving town equipped with at LEAST one tidbit of information that would rock my world the following year! Traveling to the home of ActiveRain (Seattle) and having the opportunity to spend time with Jon, Bob, Kerrie, Kelly (both Kellys!) and Niki was also a real treat! I do miss the cheerleaders we had in Jon, Kerry, the Kellys and others who were at the helm at headquarters. I remain ever so hopeful that there is something new and amazing in the works from Ben Kinney - and soon! To repeat a story that I have shared here from 2010, I was rooming in NOLA with Missy Caulk for NAR, REBar Camp and RainCamp. Yes, we were in the 'thick of' The Great Recession and roomed together to save money to be able to attend 3 great conferences - AR, CRS & NAR. The day of RainCamp, two of my Closings that were originally scheduled for the week that I returned from NOLA, were moved up to Close that day. I was devastated that I could not attend the Closings in person but, one of my agents took their laptop to Closing for me and sat me at the end of the Closing table! I participated in both Closings that morning as I sipped coffee, sitting in my hotel room in New Orleans via SKYPE! Who would ever have thought that video technology could be so incredibly useful?! There's another thing I learned from fellow ActiveRain members - Skype, which I never knew existed before! What was ironic about those two Closings was not only that they totaled $3M and they were both clients who had found me ON ActiveRain! I was late to RainCamp that day but, arrived with a smile on my face--I SO wanted to shout from the door that I had just Closed $3M in deals from my hotel room as a result of ActiveRain...and during The Great Recession!! Since NAR in 2010, I realized that I needed to add one thing to my 2011 task list and that was WordPress. I hated the thoughts of that challenge but, knew that I needed to implement my own IDX search so, I took the plunge. Who helped me get started with my site? None other than some incredible ActiveRain members! I can’t even begin to list all of the things that I’ve learned here in the Rain. 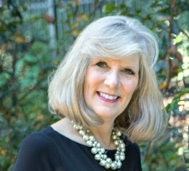 Barbara Todaro has shared her marketing magic so readily with all of us - definitely pay attention to Barbara if you list properties. I cannot imagine where my business would be without ActiveRain. The friendships, clients and knowledge that are all a result of finally taking that plunge in 2007, have completely changed my business and my life. It may sound corny but, many of the friends and clients that I have been so blessed to find here are now dear friends that I talk to weekly! The 3-million points...well, those have simply accumulated during these last 12 years of the laughter, localism and learning...I wouldn’t trade any of this experience for the world! A Day in the Life… ActiveRain Members ROCK!